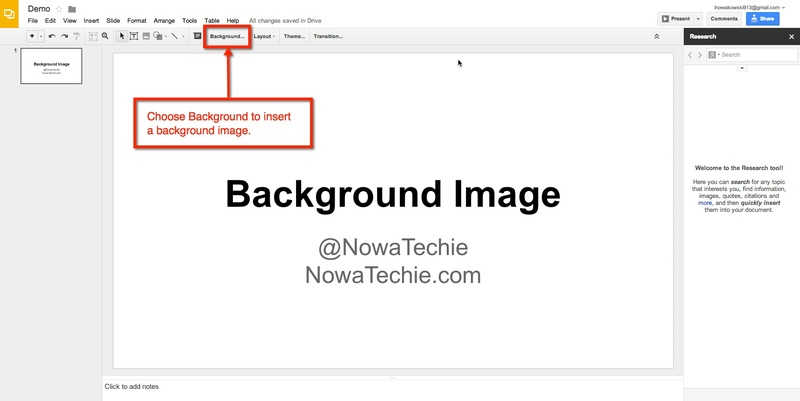 I have previously blogged about how to change the background color of a Google Presentation Slide Template. So this time, let’s take it up a notch. 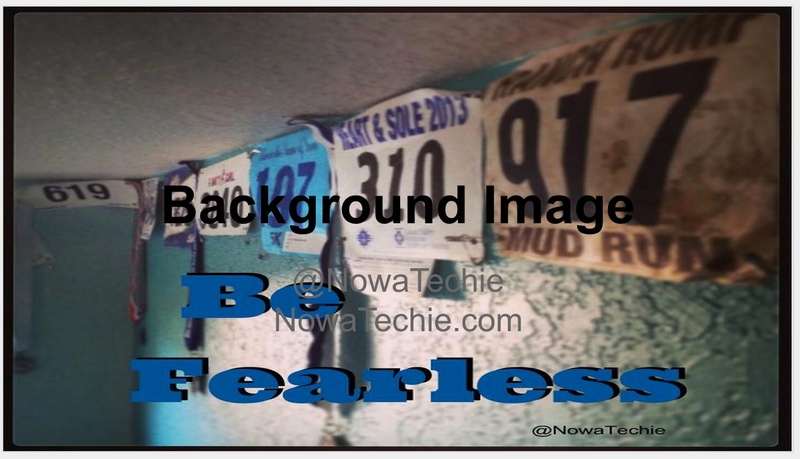 Let’s add a background image to your Slides! To begin, open Presentation, and choose ‘Simple Light’ as your template. Then from the tool bar, choose ‘Background’. For this example, we will focus on uploading an image from your computer. 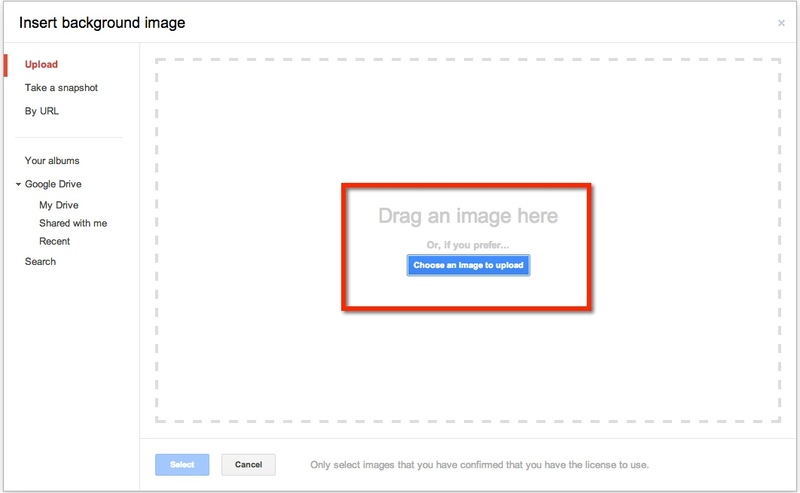 You can either drag the image or choose to upload from where the image is stored. Let’s look at how to upload the image. 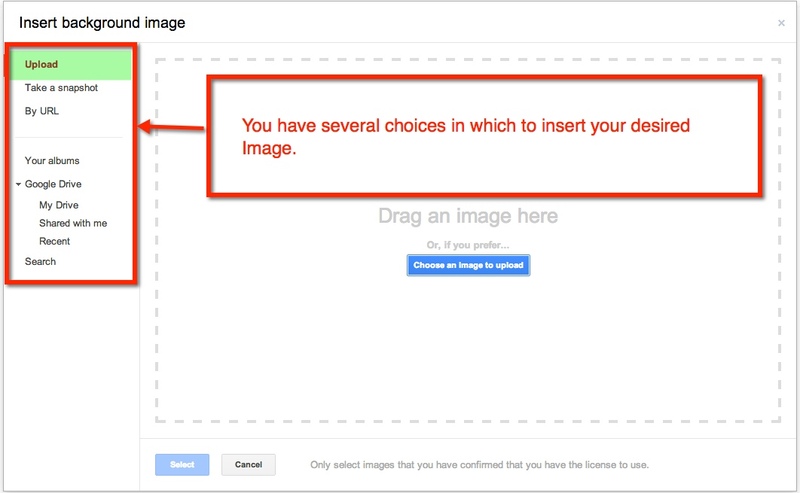 When I choose the blue ‘Choose an Image to upload’, a pop-out window appears. 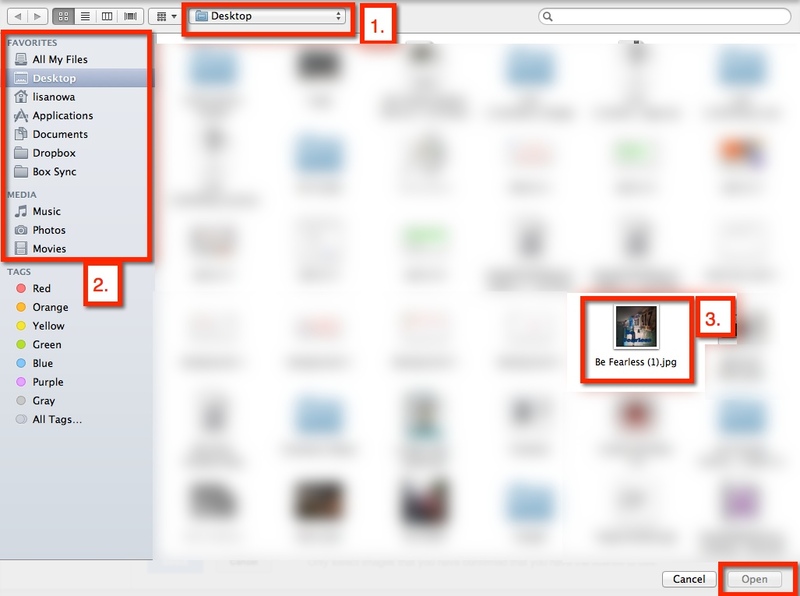 Mine automatically shows everything on my desktop (1.). I can also choose a different location on my computer (2.). The image I desire is on the desktop (3. ), therefore, I choose it, and scroll down to the ‘open’ button (or I can double click the desired image). I am then given the option to add the image to current slide (1.) or to add image to all existing slides (2.). And there you have it, a unique background to your Presentation! 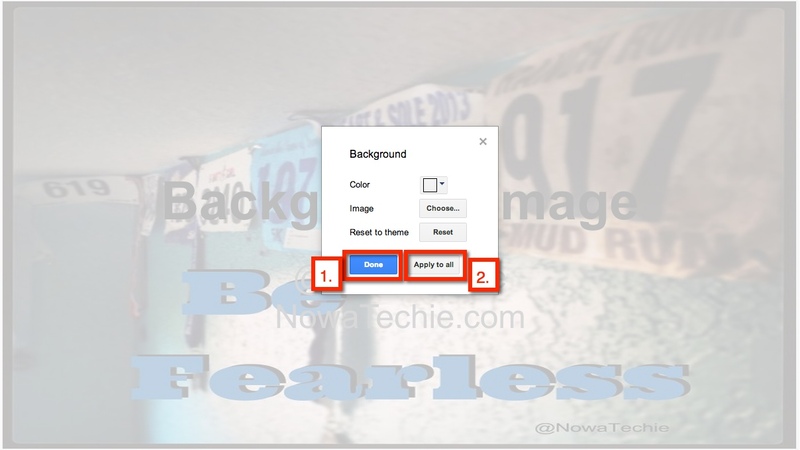 This entry was posted in Google, How To and tagged Background, Background Images, Google Presentation by Admin. Bookmark the permalink.